June artist of the month is Dave Lynn, a resident of Huntley Hills since 2003. Dave grew up in Atlanta and graduated from Pace Academy in 1982. He has lived or worked inChamblee since 1991. An automotive enthusiast since he could crawl across the rug with his Hot Wheels, his passion for all things automotive knows few bounds. Dave studied mechanical engineering at the University of Rochester (Rochester, NY) with an eye towards a career in automotive engineering but ultimately left with a degree in English. Then it was on to the Art Center College of Design in Pasadena, CA where he earned a BS in the renowned Transportation Design Program. In late 1991 the chance to work in racing brought Dave back to Atlanta to work for Jim Downing. 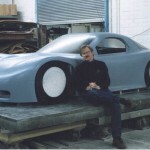 During his time at Downing / Atlanta, Inc he was responsible for a number of endurance racing prototypes. One of the cars that Dave designed carried Wayne Taylor to the inaugural IMSA WSC Championship. 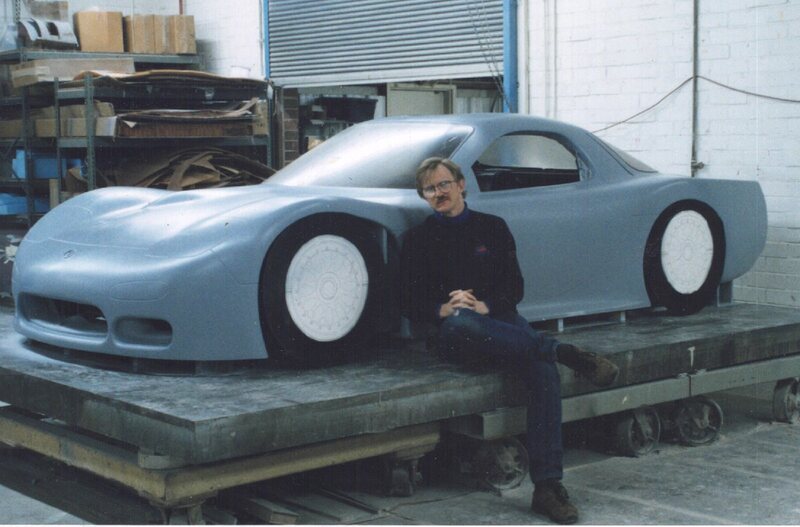 Dave designed three cars that raced in the 24 Hours of Le Mans. The 1996 excursion resulted in a class victory. It is only a bit of an exaggeration when Dave says, “Given the opportunity I would draw 24 /7.” These days racecar design engineering, industrial design, teaching, and writing have largely given way to raising a son, coaching youth soccer, and tending to the garden but soon the drawing board will again be covered with pencils, markers, and paint. Anyone interested in more information about Dave and his design artistry is welcome to contact him via email at Racerpen@gmail.com.